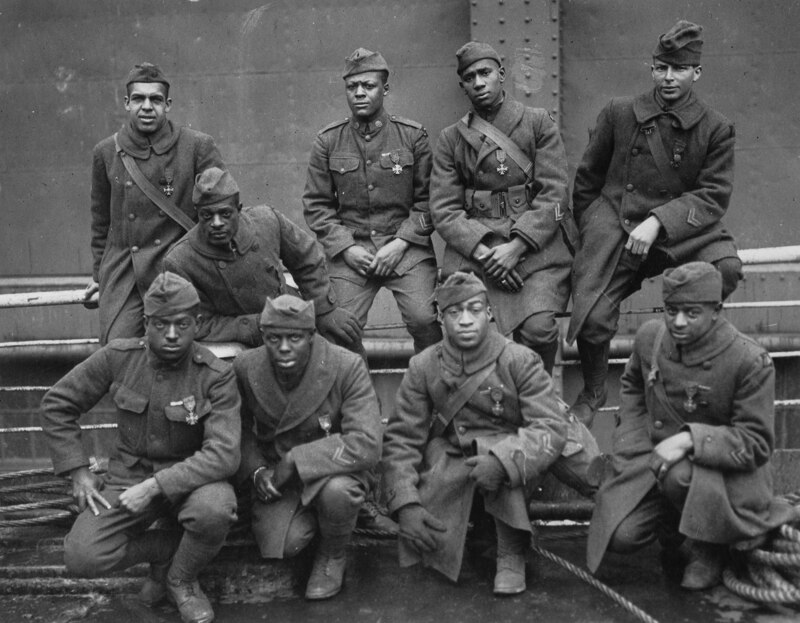 When New York’s all-black 369th Infantry Regiment set off to fight in World War I, they were men without rights at home or in the military, sent on a mission to “make the world safe for democracy.” One could have forgiven them for serving with cynicism. Instead, they were some of the most decorated and accomplished American soldiers of the war, and on February 17, 1919, they finally got a parade to celebrate their heroism. Things didn’t get off to a great start. 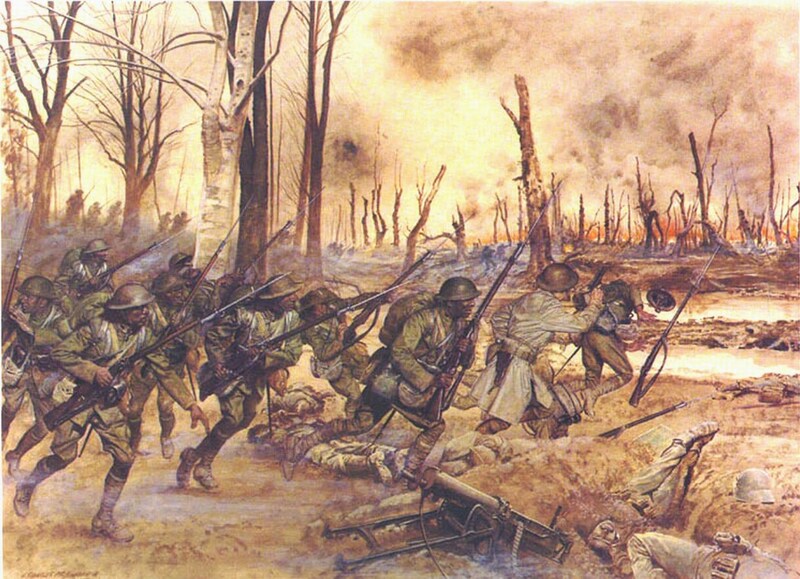 The 369th, assembled in a Harlem ballroom, was sent to train in Spartanburg, South Carolina. Only recently, an all-black regiment had been sent to Texas, where a lynching had led to a deadly confrontation between locals and soldiers that ended with thirteen black soldiers were hung for mutiny. The 369th, warned to turn the other cheek no matter the circumstance, suffered countless humiliations in Spartanburg, including being denied uniforms or weapons. They cleverly acquired rifles by posing as a white private rifle club, to whom the government had no problem shipping guns. The indignities continued on the way to Europe – after being denied a spot in the farewell parade, their leaky ship had to turn back – and in Europe, where they were assigned to manual labor. They got their break soon enough. None of that glory mitigates the horrors of war. The trench warfare of World War I, coupled with horrifying new weapons like machine guns and chemical bombs, made every day a gruesome slog of mud, rats and incoming fire. But the Hellfighters stuck with it to the end, even volunteering for a dangerous final mission in the last hours of the war. Many Hellfighters were killed, others returned home injured or suffering from PTSD. All suffered discrimination in the democracy they had fought for. But they got their moment to shine. On February 17, 1919, a parade headlined by 1200 Hellfighters and the Hellfighters band, led by James Reese Europe, marched up Fifth Avenue from downtown all the way through Harlem. Europe was killed later that year by his own drummer, but not before recording “On Patrol in No Man’s Land,” a groundbreaking jazz song with machine gun sound effects and provocative lyrics about life on the front lines. 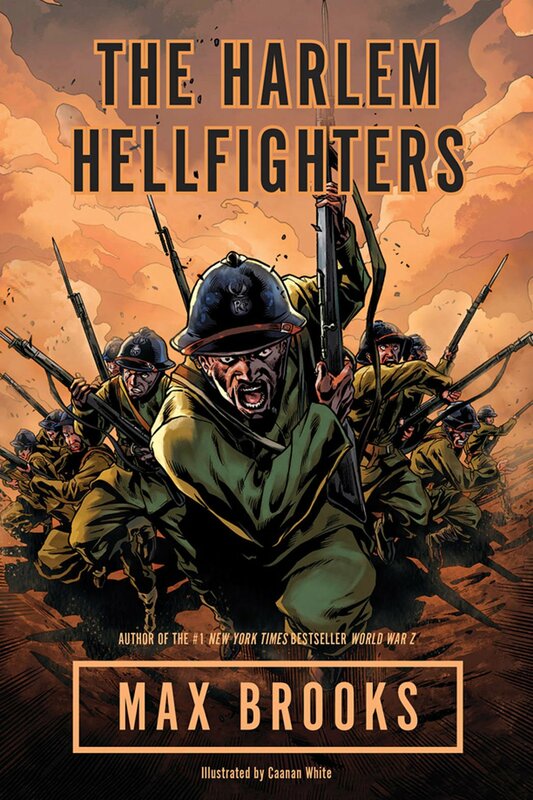 Harlem historian Jonathan Gill suggests that the Hellfighters parade might be “a candidate for the start of the Harlem Renaissance.” Unfortunately, the Hellfighters’ valor alone couldn’t break segregation in the military, which lasted until President Truman’s Executive Order in 1948, nor was equality on the battlefield enough to convince white America of equality at home. 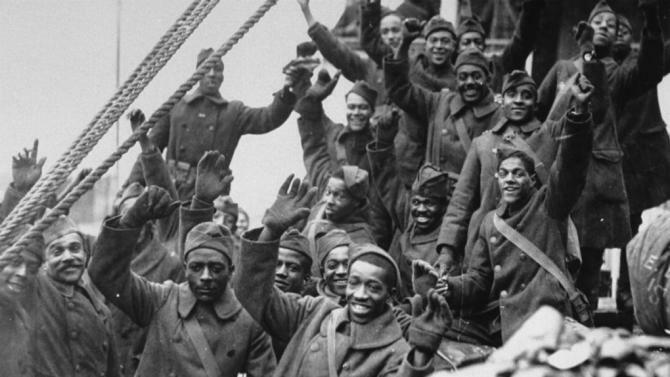 But for one fine afternoon, the Harlem Hellfighters could finally bask in the adulation and respect they so richly deserved.